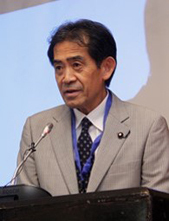 The Symposium on Hideyo Noguchi Africa Prize was held on Friday, August 26, 2016 in Nairobi, Kenya ahead of Sixth Tokyo International Conference on African Development (TICAD VI) which was held on August 27 and 28, 2016. The aim of the symposium was to identify requirements for efficient medical research and services, to reach a common understanding on priority area of human resource development in Africa, and to explore effective actions for the future. 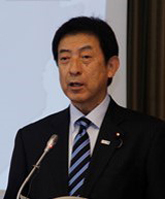 The Symposium was hosted by the government of Japan in collaboration with the World Health Organization Regional Office for Africa. 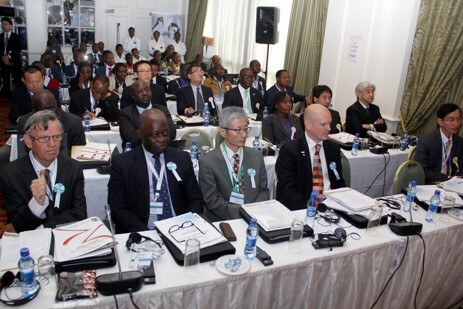 The event attracted wide variety of delegates including Minister of Health, Labour and Welfare from Japan, Minister of Health from Ghana and Cabinet Secretary for Health, Kenya (the substitute attended instead), laureates of the award; Professor Miriam Were, Professor Brian Greenwood and Professor Alex Coutinho, representatives of academia, international organizations and bilateral and multilateral cooperation agencies as well as budding African research scientists. 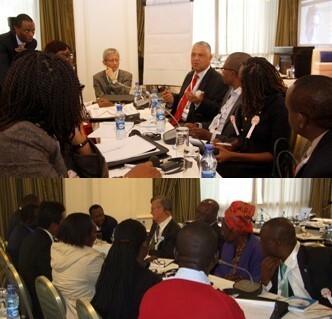 Before symposium started, morning parallel sessions for the budding African researchers were held and moderated by Professor Alex Coutinho and Professor Brian Greenwood. Feedback from these sessions contributed to enriching the discussions. Expressed his gratitude to all parties and personnel who were committed to the symposium, such as the government of Kenya, WHO Regional Office　for Africa and research institutions. 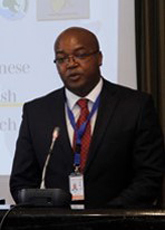 Addressed congratulation and expectation to the symposium being held as the side event of TICAD VI which is being held in Africa for the first time. Expressed his hope that the session　would be extremely　relevant to shape the unclouded visions for the healthier future in the Continent. 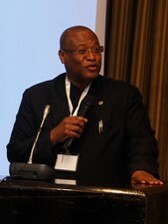 Shared the anticipation for the proactive discussions on Africa’s future. Professor Miriam Were addressed issues on accelerating achievement of Universal Health Coverage, as part of Sustainable Development Goals, in Africa through medical research. Professor quoted the WHO Health Systems Framework as imperative approach to improve medical services, also mentioned every researchers in the health sector has to ask questions with respect to the six building blocks in order to contribute to attainment of Universal Health Coverage in Africa, such as, what research has been carried, to what extent have research findings been put to use, what further research is needed to accelerate and so on. 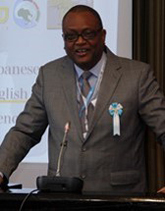 Furthermore, Professor referred the issue of disease-causing agents in Africa and financial limitation to research. Finally, Professor underlined research is the living issue and not something extra for our normal life, therefore international collaboration to promote research is the key to global wellbeing. First session moderated by another laureate, Professor Alex Godwin Coutinho, aims to (1) identify gaps and priorities to be focused for attaining UHC, (2) explore effective approach to cover those areas and targets, (3) discuss possible collaboration among stake holders,and (4) call action to provide quality health care services. Four panelists from the Government, International Organization, Private Sector and Academia discussed the issue of medical service. During the Q&A session, participants from the floor and panelists discussed how experience and lessons from Ebola crisis in Sierra Leone, fighting against Yellow Fever and Kenya’s challenge for Universal Health Coverage can be applicable or utilized effectively for other cases in Africa. Participants and panelists shared the idea that not only for emergency response to pandemic but also for general health service delivery including vaccination, the logistics and supply chain is crucial for medical service in addition to medical technologies and the government involvement. Second session also moderated by one of laureates, Professor Brian Greenwood, aims to (1) identify the gaps to overcome for medical research in Africa, (2) seek a way to encourage and empower potential capabilities of African researchers, (3) call action for human resource development including young generation, and (4) enhance networking as well as regionaland global partnership. Four panelists discussed on challenges and future of African medial research. The key messages were there is no doubt that funding is obviously one of the important issues, while many panelists mentioned that having education systems, career opportunities and appropriate facilities and equipment within Africa is critical for future of Africa. 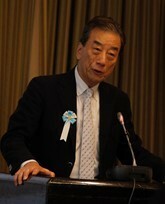 Commented friendship between Ghana and Japan which was contributed by Dr. Hideyo Noguchi and also summarized comments shared during panel discussions. 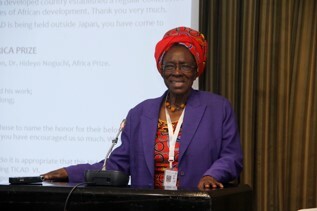 Provided the message on the expectation for future improvement on healthcare in Africa. 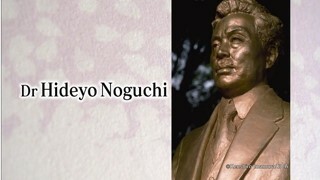 The video includes the depiction of the life of Dr. Noguchi as well as the messages from the four laureates. By promoting this prize, we would like to encourage the international community to combat infectious and other diseases in Africa, thus contributing to the health and welfare of the African people and of all humankind.